The Burrowing Owl Festival in Cape Coral is fun and educational for the whole family! The festival will be held on February 23, 2019, on a Saturday from 10AM-4PM. 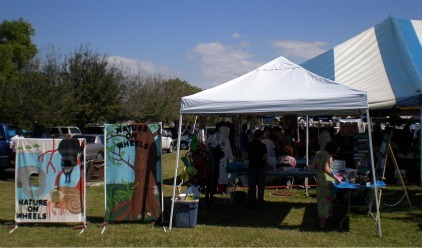 Located at Rotary Park, on the corner of Pelican and El Dorado Blvds, this Cape Coral festival features many wild creatures that are native to the Cape Coral area including our beloved burrowing owl. The burrowing owl makes its nest in the ground and so it is protected, because in Florida, it is a species of special concern. As you drive around the Cape, you can see posts in sets of 4, making a square, surrounding owl's nests. You will find more than just burrowing owl information at the festival, there are also lectures about other animals, conservation, and ecology. 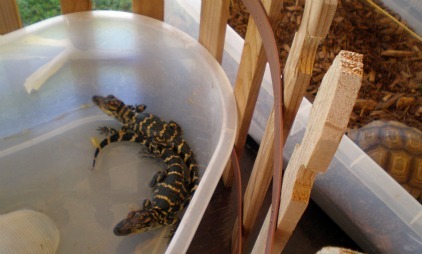 We saw snakes, baby alligators, turtles, armadillos, lizards, and different birds. 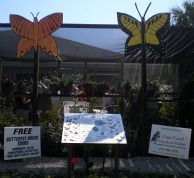 There are crafts for the adults and craft projects for the kids, food, live music, and a butterfly house. Sometimes, they have live burrowing owls at the festival, but if not, you can go on the 1-hour bus tour to see them in their natural habitat. Sign up early for the tour, by 1PM the latest for the last tour at 2PM so you don't miss out! They also have a 4-hour eco tour to see manatees, bald eagles, osprey, scrub jays, other shore birds, and more. While you are there, plan a walk down one of the nature trails at Rotary Park. We love to take photographs and climb up the tower to see all of Cape Coral! Drive further down Rose Gardens Blvd to the Rotary Park trail that leads to the Caloosahatchee, then grab lunch or a gelato at Marina Village Resort. The park also features a dog park and cactus garden. 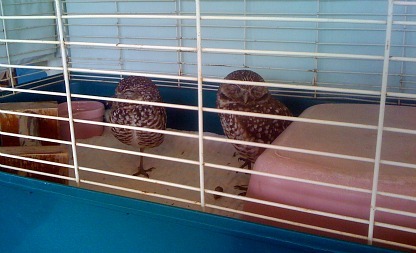 If you can't make it to the Burrowing Owl Festival, learn more about them by going to my Burrowing Owls page. If you love wildlife, you can watch eagles in their nest in North Ft Myers on an Eagle Cam.